This is very last minute, FabFree-ers. But when I opened this Hunt prize box and saw this gown… I was speechless. And those of y’all who know me, know that doesn’t happen often! This is the ‘Crystalline’ gown from Salty and its the free prize for the Peace on Earth Hunt. The Hunt ends today, folks… but you don’t want to miss this gown. The details and build are stunning. If you zoom in on the fabric you can see a delicate overlay of snowflake lace. It’s just beautiful. And Brides, wouldn’t it make a gorgeous wedding dress? 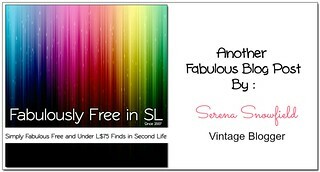 Categories: dress, formalwear, Free, hunts, mesh, poses, skirt, Uncategorized | Tags: 0L, dress, fab free, Fab Free in SL, fabfree, fabfree in sl, fabulously free in SL, fashion, free, free fashion sl, free in sl, free sl, freebie, freebies, freebies sl, gift, gifts, hunt, Ikon, Julianna Serimna, lelutka, maitreya, Maitreya Lara, pout!, SALTY, Sari-Sari, Second Life, Second Life Free, Second Life Freebies, SLink, Tableau Vibant | Permalink. I’m creeping around the woods again, and I promise I’m not doing too much witchery this Saturday evening. I mean, only the regular every day kind of magic that involves bonfires in the night and the crunch of leaves underfoot. It’s always important to find the sacred in the ordinary! Fall is my favourite season – sparkling with golden hues and delicious wonders. The Seasons Story agrees with me, because as I mentioned the other day, all the creators (who are actually celebrating the event’s anniversary) have placed a myriad of gifts out for one and all! Just join their free group, and you’ll gain access to oh so many goodies. Here’s what I’m showing you today! Head over to The Seasons Story to pick up all your goodies – the event closes on October 31st! Categories: accessories, Animations, dress, events, Free, group gifts, jewelry, makeup | Tags: Aline Passiflora, amara beauty, fab free, fabfree, fabulously free in SL, free, freebie, lelutka, little bones, maitreya, MasKara, Pure Poison, Sari-Sari, Second Life, Second Life Free, Second Life Freebie, secondlife, sl, sl fashion, sl free, sl freebie, sl gift, sl style, The Seasons Story, Yummy | Permalink. Hey there Fabulous Readers! Need to stretch out your pixels without stretching out your wallet? I found just the thing! Head on over to Cynful, join their free inworld group, and grab their Anniversary group gift! The Anniversary Group Gift actually has three free gifts inside of it. The Bombshell Top and Pants make one really cute casual outfit and it inspired me to do a little pixel yoga. You’ll find that these items come in a variety of mesh body specific sizes, and texture options for the chains and gem. You can even turn off the chains if you like, but I thought they were cute ;). I am wearing the ombre version top, but if you prefer you also have an option to make the top solid. 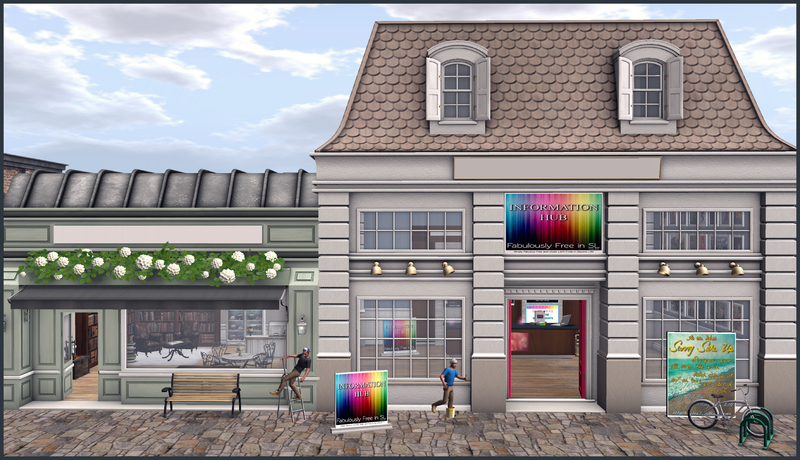 Categories: Free, group gifts, groups, mesh, pants, shirt | Tags: 0L, 0L free, 35L, Alaskametro, Catwa, Cynful, DeeTaleZ, fab free, fabfree, fabulously free in SL, free in sl, gacha, group gift, Ikon, Love Trill, maitreya, Mandala, Sari-Sari, Second Life, Second Life Free, second life gift, sl, sl free, SL Freebies, sl gift, The Cosmetic Fair, The Last Forever, TRUTH | Permalink. I am wearing just a few of the pieces in the set and I’m fully decked out! You’ll need a 7 Seas Fishing Casual Fishing Rod which will set you back 100L, but it can be used over and over on future prizes. At sn@tch, they switch out every couple of weeks – but the rods can be used in any 7 Seas Fishing Area. Aside from a big bowl of icecream and a handful of cookies, there is nothing better than diving into a good book in a cozy corner after class and Aphrodite has a new Fabulously Free in SL group gift book that tells you stories when you click it. Kind of a cool idea – and it’s free with your FabFree group tag! :) It’s even a great décor item for this upcoming Halloween season – You can see it by my foot on the ground. Categories: accessories, dress, FabFree Group Gifts, fishing, Free, group gifts, hair, mesh, shirt, shoes, socks | Tags: 7 Seas Fishing, Aphrodite, Bold & Beauty, Catwa, fab free, fabfree, FabFree group gift, fabulously free in SL, free fishing prize SL, free in sl, Glam Affair, group gift, Ikon, Love Trill, maitreya, Sari-Sari, Second Life, Second Life Free, Second Life Freebies, sl, sl free, SL Freebies, Sn@tch, TRUTH | Permalink. That silly dog, she just gets into everything, lol! For what it’s worth, I found the Maitreya size to be a bit too large, so I opted to wear the FITMESH S instead. If you find that one size doesn’t fit you, try another! So many more gifts to tell you about here! My Cute Bunny Ears headband is a Marketplace dollarbie from -LpOca-. There is no resizer, but you can do an old-school Edit > Stretch if you need to change the size. The bunny makeup is a free Easter gift from Izzie’s. No group is required, just click to pay 0L. Appliers are included for Catwa, LOGO (Omega), and LeLutka Bento mesh heads, as well as tattoo layers for classic avatars. You can apply the eye makeup, whiskers (white or black), and lipstick separately, and a button to CLEAR is included for each (I love that!). My necklace is a group gift from CHAIN. It comes in materials, materials + glow, and “regular” (for lack of a better term). A texture-change HUD with 8 metal colors is also included. To access the resize menu, just click on the necklace. Categories: accessories, appliers, dress, FabFree Group Gifts, group gifts, jewelry, makeup, Marketplace, Nails | Tags: Aphrodite, chain, Collabor88, fab free, fabfree, fabulously free in SL, fri.day, Glam Affair, Hello Dave, Izzie's, Lassitude & Ennui, lelutka, LpOca, maitreya, Mandala, powder pack, Prism, Sari-Sari, Second Life, Serena Snowfield, sl, Truth Hair, virtual kennel, vista animations | Permalink. Hello there Fabulous Readers! I am unsure if it is the warm spring weather or this new outfit I just picked up for free at The Designer Circle Anniversary round, but I was feeling the need to get out and stretch my legs. Now… Where to go? I stopped in at Kathryn’s to see if she and Ripley would like to join me, but it looks like Ripley has already led her off on another adventure of their own! I think I’ll just close my eyes and point to a spot on the map. If you like the outfit I am in today, you should know that the Casey Outfit by Finale Couture – that includes the jacket, pants and Slink add-on shoes is a free gift (priced at 0L!) at this Anniversary Round of The Designer Circle. In fact… many of the participating designers have freebies or dollarbies you can pick up, just set out on the ground of their displays. Categories: events, fitted mesh, Free, mesh, outerwear, pants, shoes | Tags: Catwa, fab free, fabfree, fabulously free in SL, Finale Couture, free fashion sl, free in Second Life, free in sl, freebies second life, freebies sl, Glam Affair, Honeycomb, Love Trill, Magika, maitreya, Sari-Sari, Second Life, Second Life Free, sl, sl free, SLink, the designer circle | Permalink. Soap Is Slippery Business, That Ain’t No Lye! Good afternoon Fabulous Readers! Today I am stopping in to share news about a new group gift with a fatpack of dresses and tell you a little real life secret of mine. Serena recently blogged about a gorgeous group gift at Miss Chelsea [HERE], and they have released an awesome fatpack of the jersey dresses called Hali as shown below. 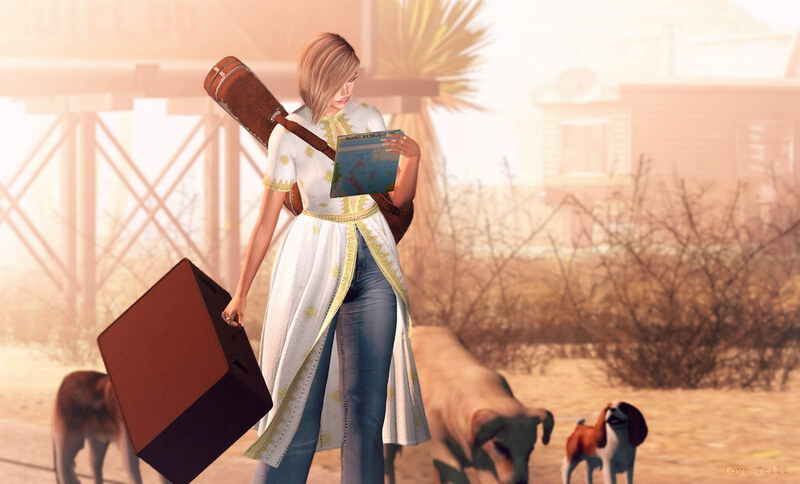 This group is 100L to join, but between the gown that Serena previously showed that is still available and this fun fatpack, it’s worth every little linden you’ll have to part with to join. I am sure you all know that my biggest shopping crutch in Second Life is probably… hair, and that is a sweet spot for many of us girls here on the grid, but we all have real life shopping crutches too, and one of mine… is handmade soap! I can’t get enough of the bubbly stuff. I have stacks and baskets, and bags full and still buy more. On occasion I’ll even make some myself! Anyways, I pretty much “SQUEEEE-ed” when I came across the new Soap Collection Gacha Set by Kraftworks at this round of The Cosmopolitan Sales Room, I couldn’t help myself! This machine is just 50L per play and offers 9 commons and 1 rare (the scale). I really thought the slippery soap should have been the rare, because it’s so funny. I did another little GIF to show you what happens when you rez the Slippery Soap and sit on it. 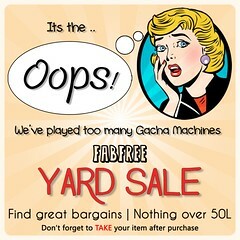 Categories: accessories, Animations, dress, events, gacha, group gifts, Home & Garden, mesh, other | Tags: 0L, bento, c88, Catwa, Collabor88, Cosmo Sales Room, CSR, fab free, fabfree, fabulously free in SL, free 0L, free fashion sl, free in sl, freebies sl, Glam Affair, group gift, Ikon, Ingenue, Kraftwork, Love Trill, maitreya, Miss Chelsea, Sari-Sari, Second Life, Second Life Free, sl, SL Freebies, SLink, The Cosmopolitan Sales Room, TRUTH | Permalink. There is one thing about men that I will never understand… Actually there are several things, but one strikes me particularly hard today – Why oh why, do the socks go on the floor beside the laundry hamper? I even moved the hamper where he was tossing them last week, thinking to myself “Ok… if I can’t beat him, I need to join him“, but no… The socks are still beside… the… laundry … hamper. I am considering that perhaps there is some kind of negative magnetic force that keeps them from going inside the basket. What else could it possibly be? I am reading up on the subject… “How To Understand Him”. Wish me luck. One thing that was really clear to me today was that I was really glad I picked up the Zenovia Outfit as a free group gift at MonaLISA. I joined this group for 100L some time in December to take advantage of a lucky board prize [blogged here] that is still available, and stopped in today to check out what was available in the way of group offers. There are tons of group gifts, a midnight mania board, and a few group lucky boards too. The Zenovia Outfit all goes on in one click and includes the skirt, top, and cardigan. It comes in XS-XL mesh sizes and includes the alphas in the case that you need them. I think I jumped up and down when I saw that Truth was participating in this new round of The Epiphany with three gorgeous long hairstyles at just 50L per play! I am wearing Wind today, and can’t wait to get my hands on the other two as well! All of the braids and waves are done perfectly. 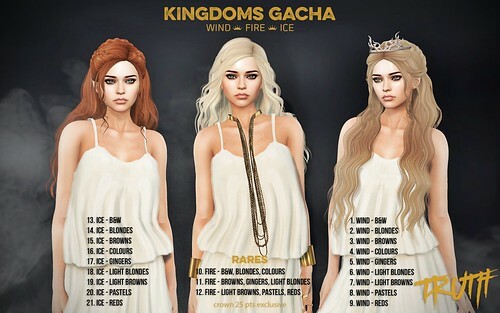 Categories: dress, gacha, group gifts, groups, hair, mesh, outerwear, shirt, skirt | Tags: 0L gift, 50L, Catwa, fab free, fabfree, fabulously free in SL, free in sl, Free Second Life, freebies sl, gacha, Glam Affair, group gift, Ikon, Izzie's, Love Trill, maitreya, MonaLISA, Sari-Sari, Second Life, Second Life Freebies, sl, The Epiphany, TRUTH, Truth Gacha | Permalink. Well Hello There Fab Free’rs! I hope you are all well, I’m glad you’re here. I want to share with you one of my hopes for this shiny new year. While there are lots of things I am going to work toward in my 2017, at the top of the list is a little personal zen. I believe that intuition and self reflection are important. I intend to be more accepting of myself, rather than remain often at war. I want to be genuinely happier, and bring happiness to others. That’s not to say that I am unhappy, I consider myself to be very fortunate in many ways. However, I think there’s always room for improvement! If you don’t already have all the happiness you could possibly want in your own lives, I wish that happiness finds you also. Truthfully I think everyone can benefit from a little personal zen. Okay I’ve got all the sentiment out of my system, now for the freebies! Cureless recently sent out a FREE group gift. This bindi type crescent moon is beautiful. The textures have an almost iridescent quality. This gift from Cureless includes a color change hud with a ton of color options. I probably should have counted them, but trust me, there are a lot! 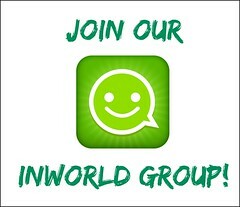 The Cureless group is FREE to join. 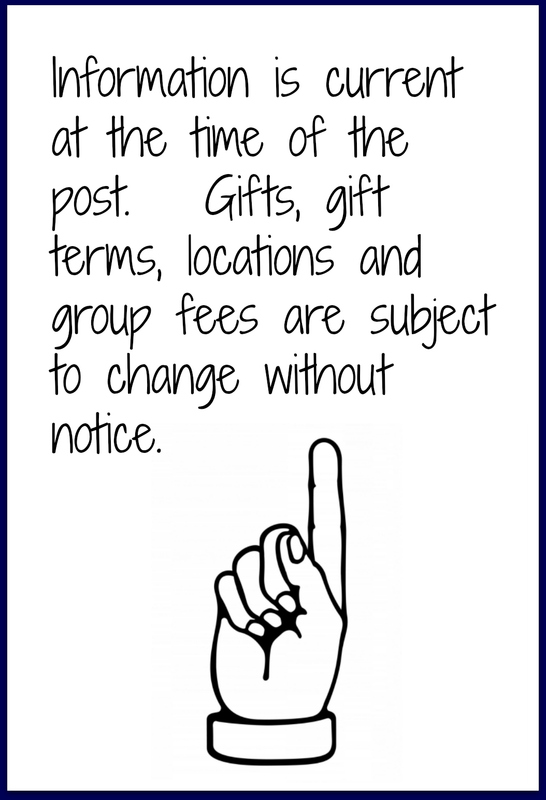 To get the gift, just join the group and check the past notices. Hurry though, notices do not stay available forever. I think I’ll be wearing this little jewel often. Categories: accessories, appliers, fantasy, Free, group gifts, jewelry, Marketplace, mesh, other, tattoo | Tags: $0L, 0 linden, Aurica, bindi, Catwa Helena, Cureless, Essences, fab free, Fab Free in SL, fabfree, fabulously free in SL, free, free gift, freebie sl, freebies, gifts, Henna Tattoo, Lovey Dovey, Maitreya Applier, Maitreya Lara, Mandala, mandala tattoo, Occult, Omega Applier, pink, Prudence Rexroth, Role play, Sari-Sari, Second Life, Second Life Freebies, sl, SL Freebies, SL Group Gifts, Slink Applier, TMP Applier, Zen | Permalink.